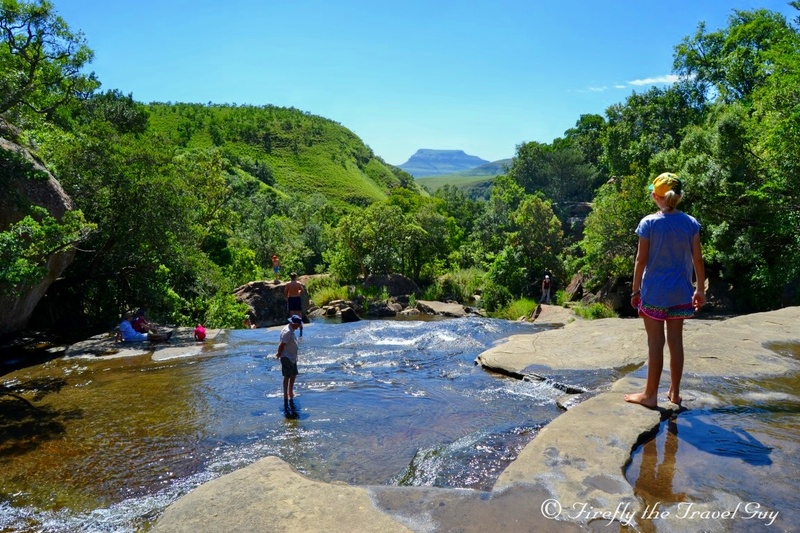 When you arrive at Mahai campsite in the Royal Natal National Park in the Drakensberg, one of the first things you notice is that there is no swimming pool. "What! No swimming pool? How is one supposed to cool down on those hot barmy summers days while camping?" you ask. Mahai doesn't have a swimming pool for a purpose. The campsite sits on the banks of the Mahai River and 15 minutes upstream along the Queen's Causeway is where you head to the Cascades if you want to cool down. 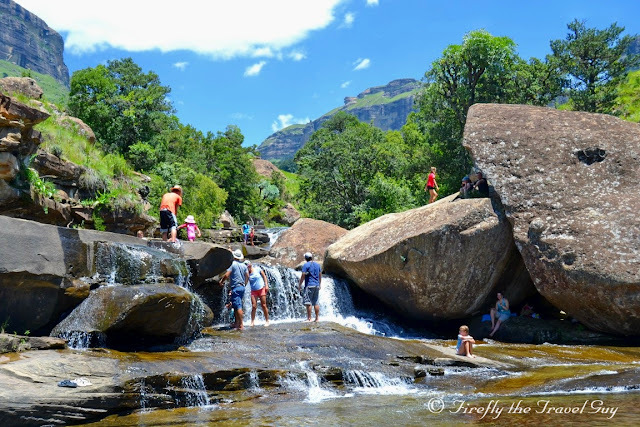 The Cascades is a series of cascading waterfalls and shallow areas offering bathers a safe spot to enjoy the crisp clean mountain water that flows out of the Berg. You may not be able to dive into deep pools or swim lengths but I didn't hear one person complain during the ten days we were there. How often do us city folk get to swim in a mountain stream? The little bridge at the end of the Queen's Causeway. The Queen's Causeway was built to allow the Royal family to comfortably walk up along the Mahai River during their visit in 1947. The visit is also the reason why the park is allowed to be called the Royal Natal National Park. 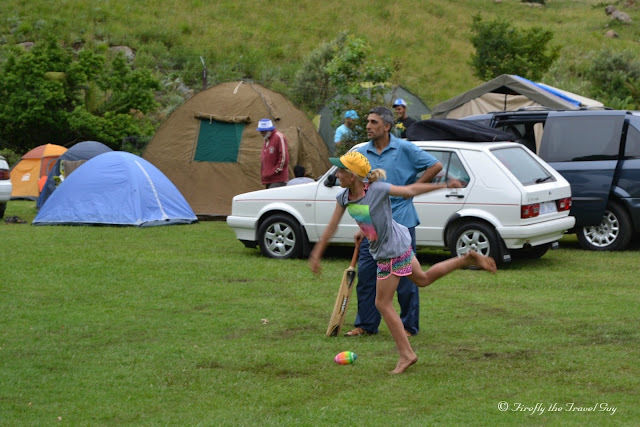 Having a budding young cricket player on our hands, it wasn't difficult finding Miggie around the campsite at Mahai in the Drakensberg during December when we were looking for her. 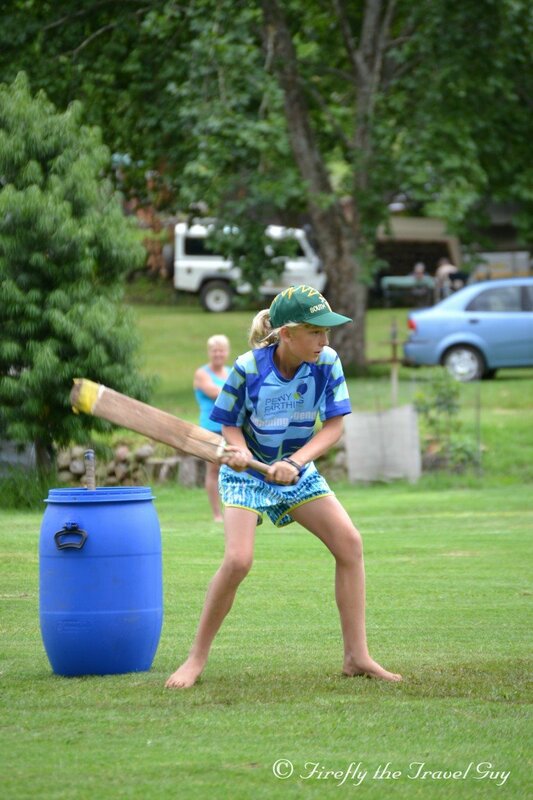 Just find the nearest cricket game and she will be there. Preferably one with adults playing as "they bowl better", to quote her. 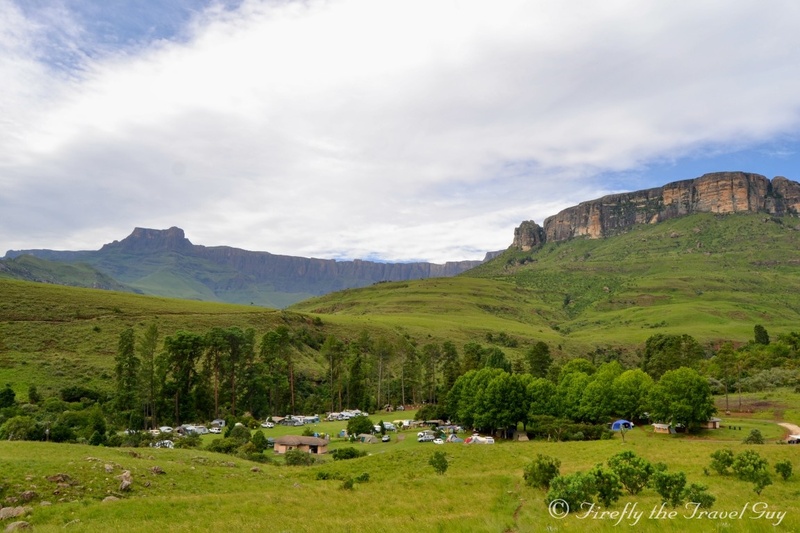 Nestled in a beautiful valley in the Royal Natal National Park of the Northern Drakensberg is a campsite that regularly makes lists of top campsites in South Africa. 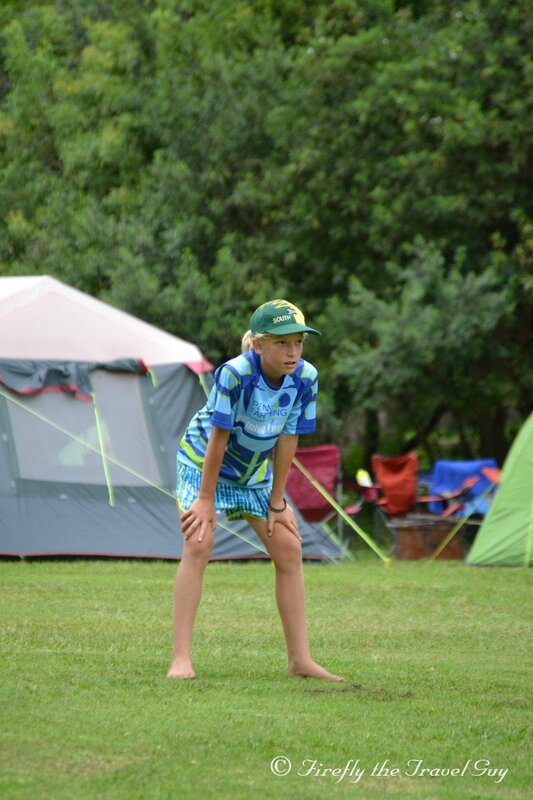 Six years ago we discovered Mahai Campsite for the first time and spend an unfortunate holiday there during major floods that hit the area that summer. Even with all that it still counts as one of our favorite holidays and when we left that year we vowed to be back some time. 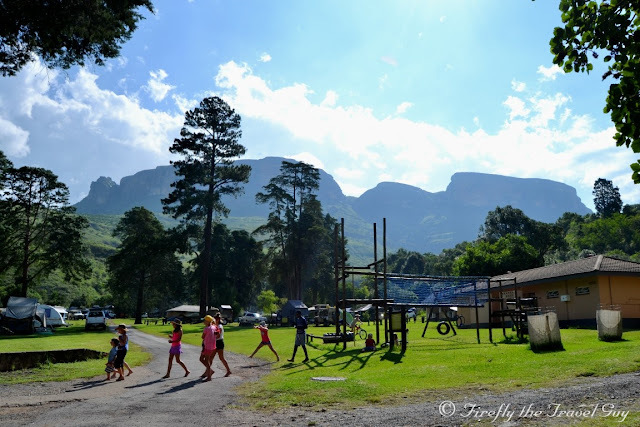 After making a few other summer holiday turns over the last few years we decided to head back to the Berg this past December and topped our previous visit by a country mile. Mahai lies along the Mahai River in the shadow of the Dooley Mountain with the world famous Amphitheatre looking on over its shoulder. What does this mean? The campsite is IN the mountains. 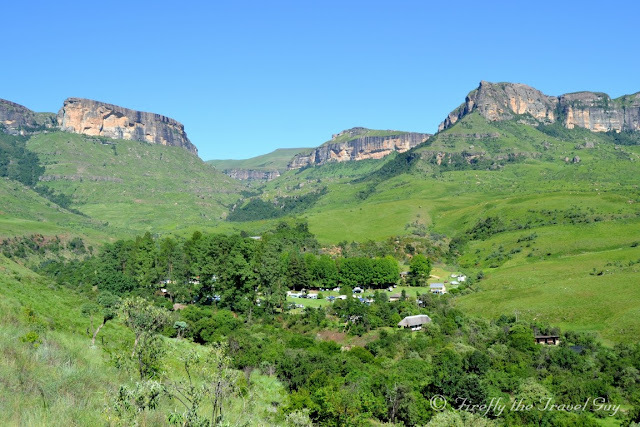 It's definitely not one of those campsites that sell itself as a Drakensberg campsite yet the mountains are only visible on the horizon. Here the sun disappears behind the mountain in the late afternoon, summer thunderstorms roll straight off the mountains and the mountain streams and hiking trails run right through your backyard. It truly is a mountain campsite. In the mountains. With mountains all around. Mahai has about 120 campsites equally split between electric and non electric sites with more than enough ablution facilities, washing up areas and space. Lots and lots of space. It's definitely not one of those campsites where you are squashed in like sardines in summer like you often see along the coast. 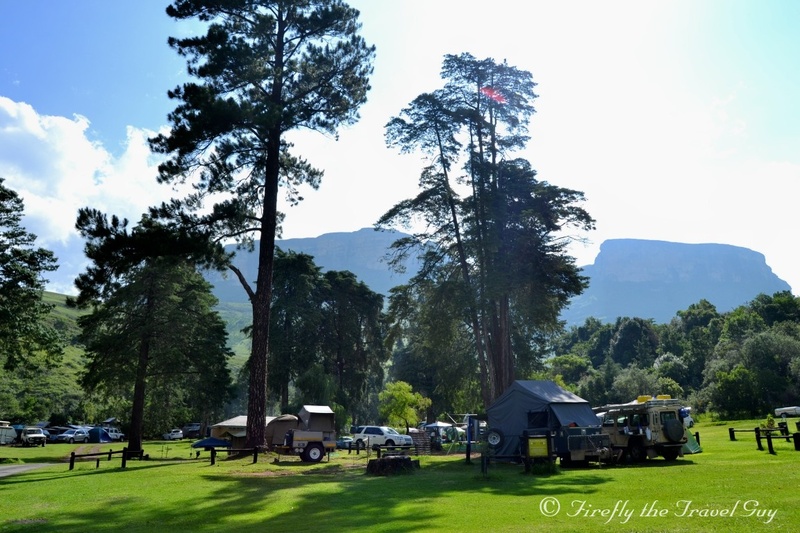 The campsites are huge and the space between even bigger. Facilities are well looked after, ablutions kept clean and security is tight keeping day visitors to the park as well as passing baboon troops out. If you want to know anything while at Mahai you just ask Lucky. Lucky is supposed to be the day security guy but he literally is Mr Mahai. In addition to being day security he makes sure everything in the camp runs smoothly, he points out empty spots to arriving campers, is always available to give you a helping hand and chases off any baboons coming too close. 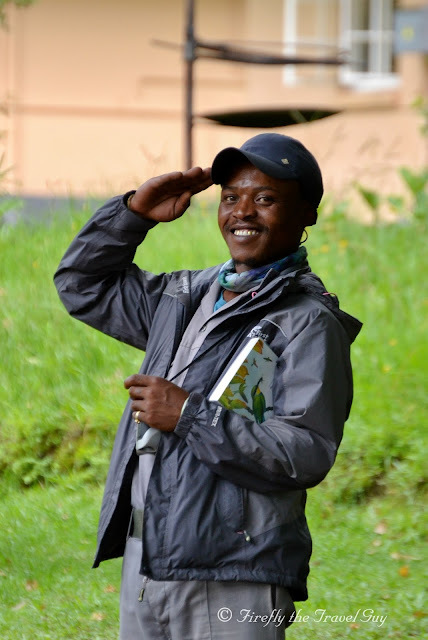 Lucky is always smiling and returning campers come over to greet him with a hearty handshake and a "How are you Lucky? Great to see you again." Lucky is also teaching himself to be a birder and always have his binocs and bird book handy. Most importantly, the kids just love him. Probably because he's always friendly. One of the best parts of Mahai is the fact that I can just sit in front of my tent and watch the mountains, listen to the nearby stream and just chill. Relax heaven and one huge adapter to plug one's soul into for a major recharge. Also because it's a back to nature campsite people really respect the environment so nobody spoils the atmosphere with load music and parties. 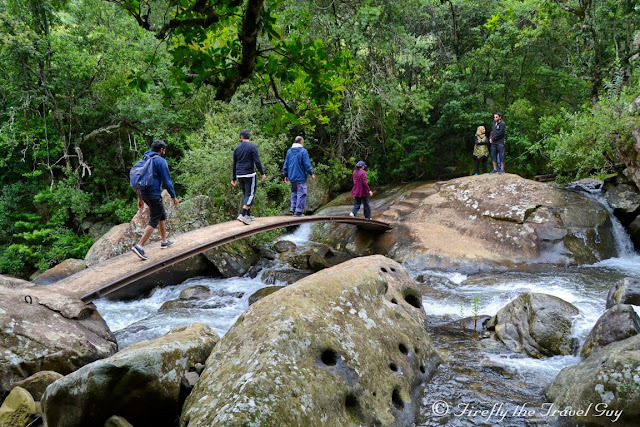 It's about listening to the wind in the trees, the stream flowing over the rocks and the Piet-my-Vrou calling rather than your neighbour's doef doef music. Absolute heaven. Mahai is like a free range reserve for kids. The whole campsite is enclosed with only two gates so you know the kids won't go very far. They tend to disappear in the mornings and only reappear when they get hungry or thirsty. If there was a cricket game somewhere we knew exactly where to find Miggie while Chaos Boy kept on searching out a quiet spot somewhere to read a book or let his imagination run wild with him without being disturbed. 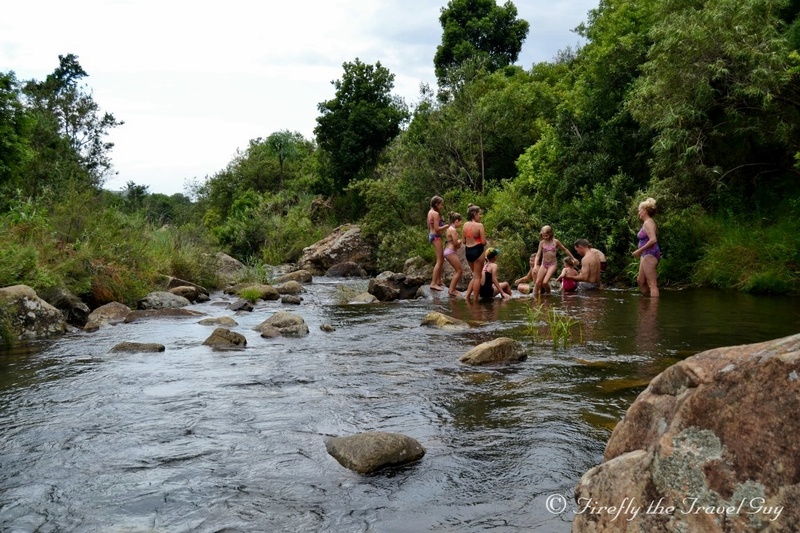 The kids were like herds of animals the way they grouped up and kept on moving from one place to another. 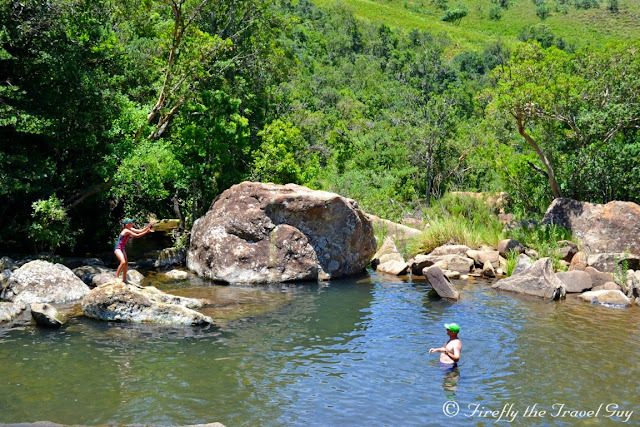 The campsite may not have a swimming pool but there is no shortage of spots to go for a swim. 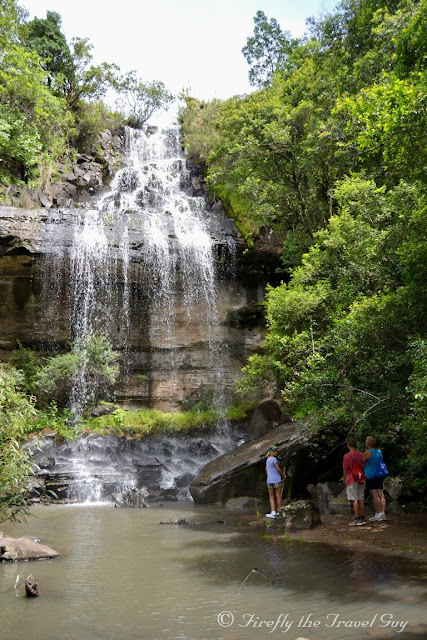 The main swimming area is about 700 meters up the Mahai River from the campsite at the Cascades, a safe swimming spot where the river cascades over a series of little waterfalls and through shallow pools. If you're looking for something a little quieter then there are more than enough options along the path upstream. 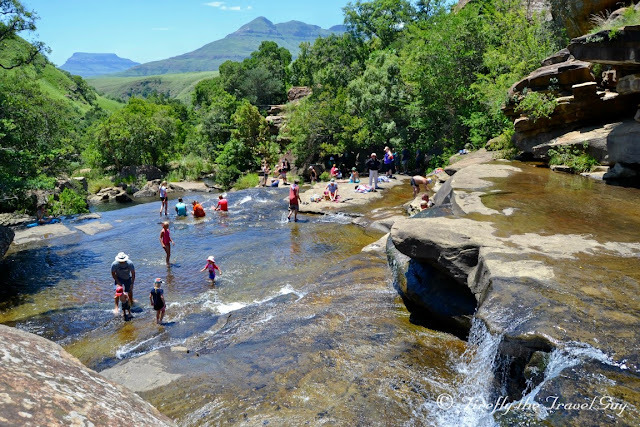 A couple of times the herd of kids (under the watchful eye of one or two parents) would just go for a swim in the river right outside the campsite. 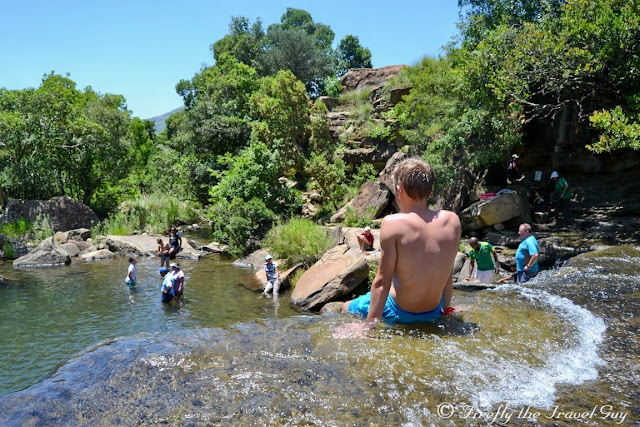 You may not be able to dive in and swim laps in the river, but what is better than being able to swim in a fresh clean mountain stream like this? 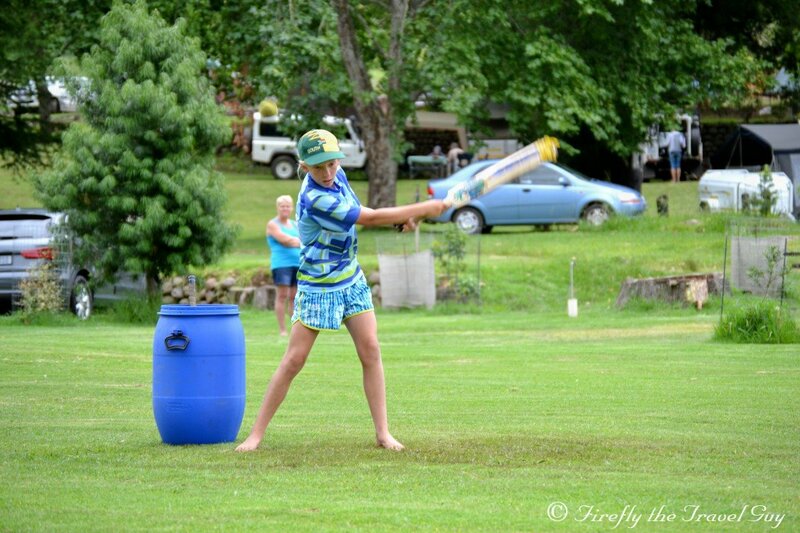 Definitely not something us city folk get to do very often. The biggest advantage of staying at Mahai is the fact that you don't have to get in the car to drive somewhere to be able to go for a walk in the mountain. The trails all start right outside the gate and vary in length and difficulty. We did a couple of easy 6 km morning trails during our stay while I headed off on a longer 13 km walk the one day to find some Geocaches. Did I mention there are about 50 Geocaches in the park? No? Well now I did. As we opted to just do nothing on a couple of days we didn't get to do all the trails in the area and some of the longer and more challenging ones we left for a future visit. 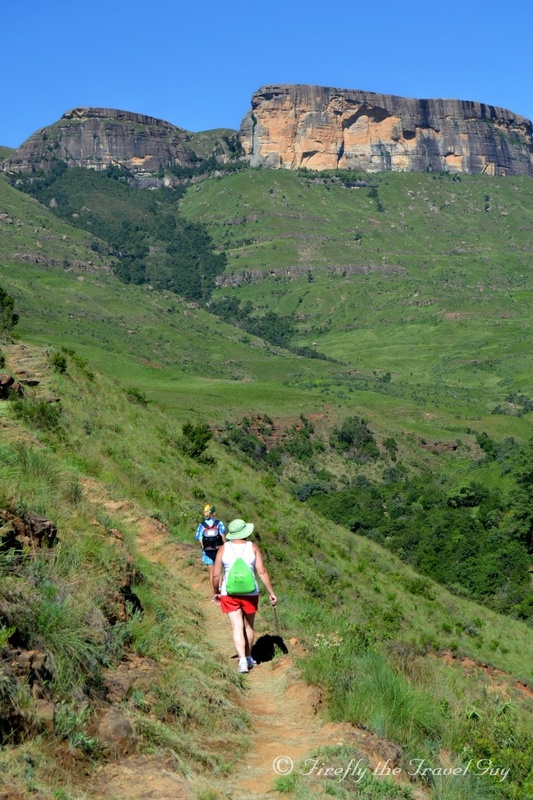 The trails don't just offer beautiful mountain and valley views. 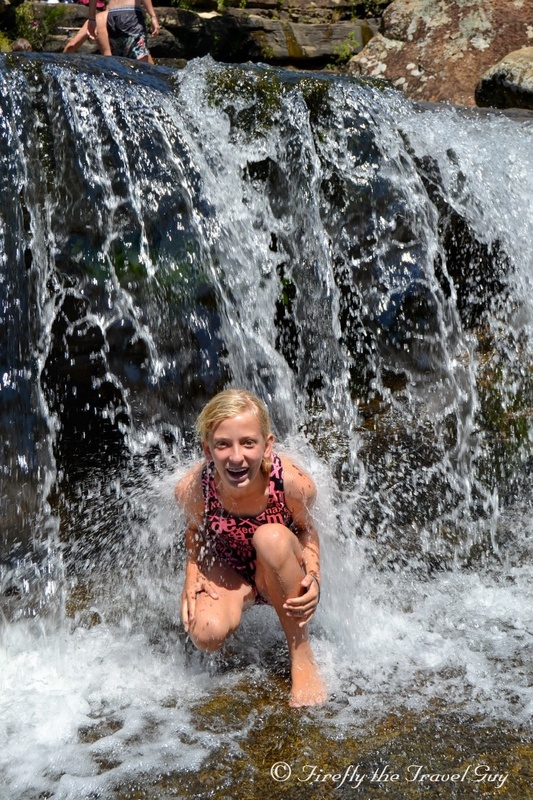 Most of them cross various streams along the way and end up at a waterfall at some stage or another. Lot's of opportunities to fill water bottles, cool down feet and bodies or just sit and watch the water flow by. 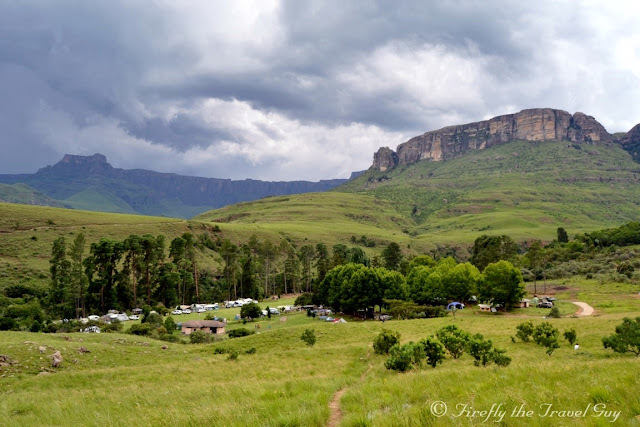 Deciding to return to the Drakensberg this summer was the best decision we could make and you can't go wrong by choosing Mahai as your Drakensberg campsite of choice. It's may not be a "resort type" campsite with holiday programs and organised activities to keep everybody busy, or have a pool with slides and a putt putt course next to it. 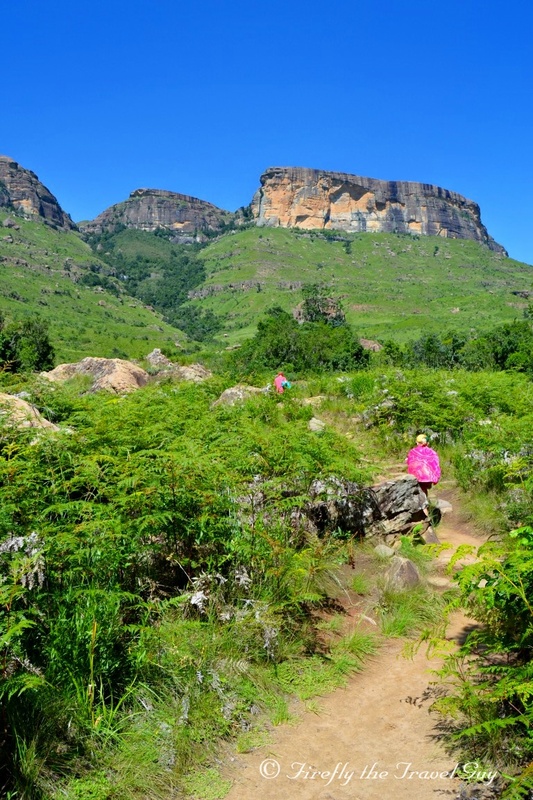 But who needs all of that when you have the mountains all around you to admire, lots of space to set your head straight in again, hiking trails to get out on, streams to cool off in, waterfalls and the chance to really immerse yourself in nature? Everything has a bit of a downside though and it can't always be moonshine and roses, so I don't want to pretend that Mahai is any different. The first of the two biggest ones for us was the fact that the nearest town is a good 50km away and unless you carry absolutely everything with you and have a proper fridge along you will have to make the trip at least once, especially seeing that the little shop in the park has a very limited variety of things. 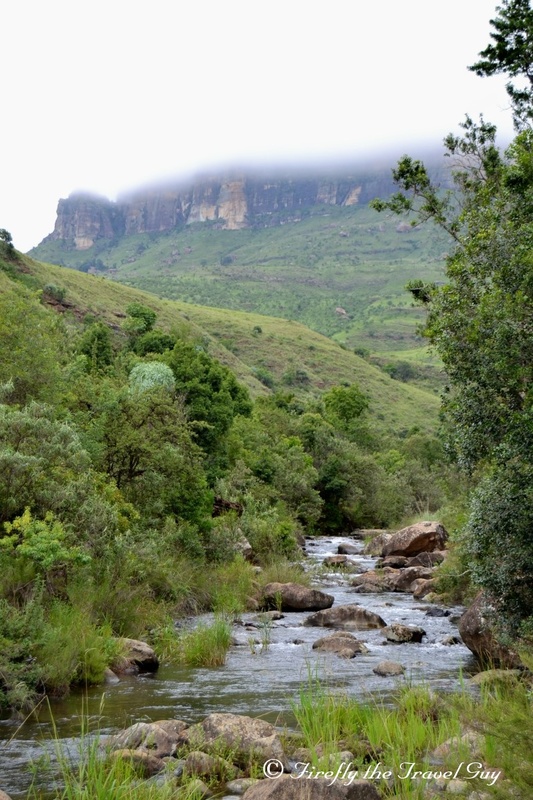 The other is the fact that you are in the mountains in a summer rainfall area and its nothing strange to have a thunderstorm suddenly appearing over the mountain mid or late afternoon that comes to mess around with your braai fire. Just make sure your tent is properly waterproof and there there is enough firelighters around to get the fire going again and Bob's your uncle. We did have one spectacular midnight thunderstorm with Miggie not being very impressed with the thunder and lightning, but seeing that we're not used to thunderstorms I really enjoyed listening (and watching) to it pass over. 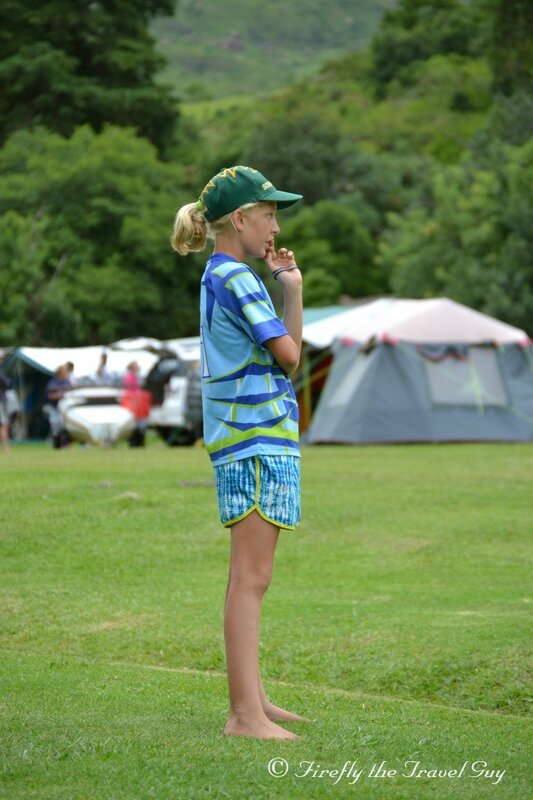 Ok, so these are minor downsides compared to all the advantages of camping at Mahai but I just wanted to mention them. 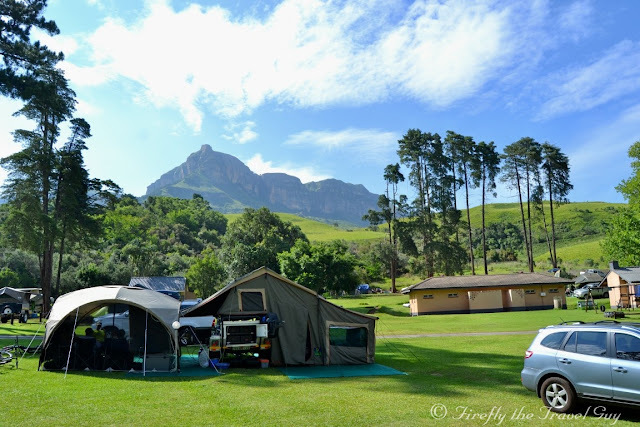 If Mahai and the Drakensberg wasn't so far from Port Elizabeth we would probably head out that way a lot more often than once every few years. At about 1 100 km the trek is just a bit on the long side. Next time we'll probably try and visit in winter to see what these mountains look like covered in snow but regardless of when, we will definitely be back. The Amphitheatre must surely be the most recognised and best know feature of the Drakensberg and looked down over us while we were camping in the Royal Natal National Park in December. The Amphitheatre is over 5 kilometers in length and the cliffs along its entire face is about 1 220 meters high at average. 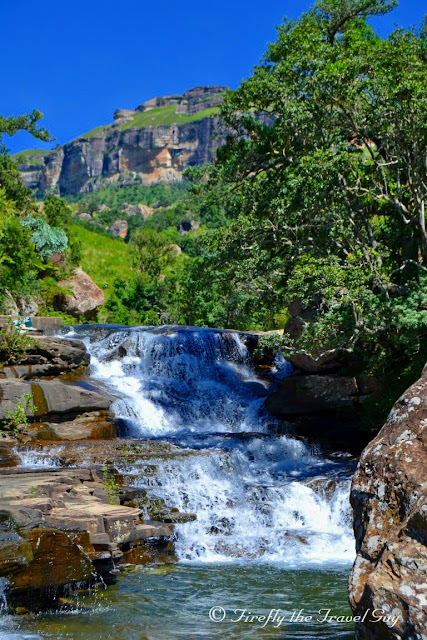 The source of the Tugela River is up in this section of the Drakensberg and the Tugela Falls, the second highest waterfall in the world after the Angel Falls in South America, plunges 948 meters over the side of the Amphitheatre. 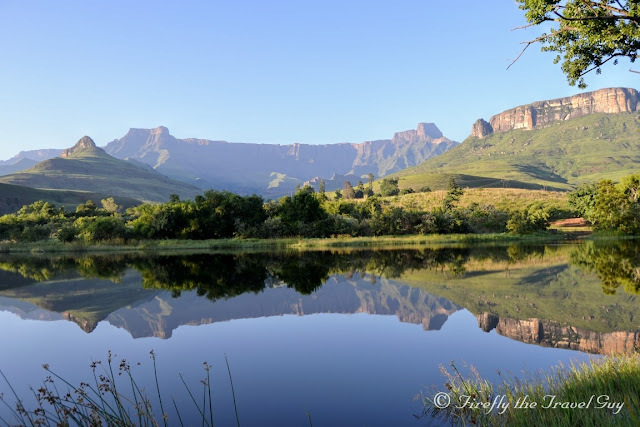 I took the photo from the dam close to the Royal Natal National Park Reception building early one windless morning. Stone plants - Aizoaceae or Ficoidaceae is a family of dicotyledonous flowering plants containing 135 genera and about 1900 species. 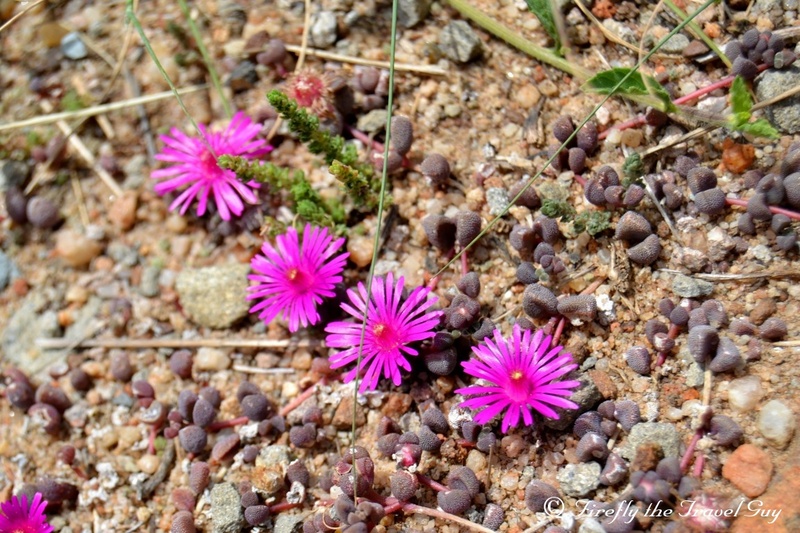 They are commonly known as stone plants, carpet weeds or vygies.